The benefits of becoming a parter of Provinyl? PROvinyl franchise now available! 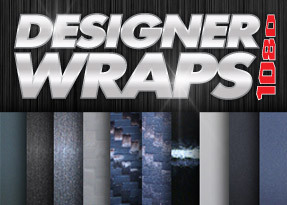 Become a part of the biggest and the most successful vinyl wrapping company in Australia. Vinyl wrapping and car wrap advertising (sign writing) is such a common thing in modern advertisement and promotion. It's not only makes advertisement costs less but you can create, print and install car wrap in less than 3 days even if we talking about big volumes of cars or if we want to wrap the whole fleet of cars. Vinyl car wraps also in demand among the individual sector: vehicle color change, styling etc. Our business is based on a never ending search for new technologies allowing us to surprise our customers every now and then. Our knowledge and experience makes our franchises to grow fast and strong. It has been proven that buying a franchise is much more financially liable than starting your own business from nothing because you can skip a few first and the hardest steps and concentrate on making money and further development instead of spending your time on growing the brand name. With PROvinyl franchise you receive a complete business package covering all aspects of the operation – leaving you free to concentrate on developing your business. Our comprehensive training program covers all aspects of PROvinyl business from product knowledge and installation processes to business procedures and management techniques. As part of our proactive and professional approach to marketing, your business will be featured on PROvinyl website and you will have the support of our marketing team to help you launch your business and develop an ongoing marketing plan. The great thing about vehicle wrapping is that absolutely anyone who owns a vehicle is a prospective customer; from small business owners looking for a mobile and eye-catching advertisement for their business, to people who want their personal vehicle to stand out from the crowd. The vast potential that exists in this market means you will only be limited by your drive to succeed. As a PROvinyl franchise owner you won’t need any prior experience in the sign and graphics industry. You will be trained by the best in the business to provide a complete vehicle wrapping design and installation service to both businesses and private clients. Business experience is always an advantage but when we are selecting Franchisees we are also looking for the right attitude and bags of enthusiasm. The initial investment required is $4000.00 plus working capital. We believe that the key to your success will be your commitment, your hard work, your entrepreneurial skills and your determination to succeed.